3D Scanning and Printing Solutions. 3D Scanners, 3D Printing. Components, Body Parts, Internal Organs. 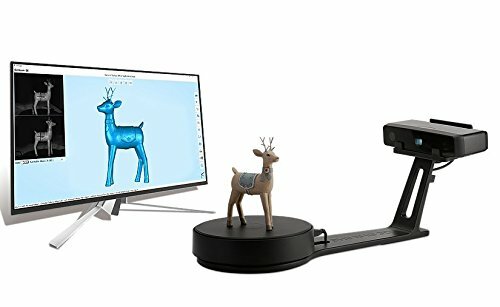 3D Scanning Equipment. Imagine investing in the multi-billion pound 3D Printing Scans business. Host a library of millions of 3D Printer Scans for customers to download and print off!! The scans could be for business or domestic use. Imagine the worldwide sale opportunity. Millions of 3D Printer Scans for billions of potential customers!!! Upgrade to Original Generation EinScan S 3D Scanner! Works Seamlessly with Einstart 3D Printer. Scan Accuracy: < 0.1 mm with Texture Feature. Scan Time: < 8s & < 2min for Single Scan & 360-degree Scan under Automatic Scan Mode. PC Requirement: Windows 7 Windows 8 Windows 10 64-bit. PORT: at least one USB 2.0/3.0 port RAM: > 8G GRAPHIC CARD: NVIDIA Seires CPU: i5 or higher SUPPORTED FILE OUTPUT FORMATS: OBJ, STL, ASC, PLY. 3D Printer Scans. Awesome Inc. theme. Powered by Blogger.